Ever wonder how plant breeders introduce new plants each year? It could be a color variation of the leaves or flower, or greater resistance to diseases or pests. Propagation includes the process of blending the characteristics of one plant with another to create something new and unique. Part science and part artform, plant propagation is a fascinating way of providing the right plant for the right spot in the right environment and it's our topic of discussion on #plantchat. Join @CoronaTools and #plantchat partner, Stacey Hirvala representing Proven Winners @Proven_Winners, on this week's topic, plant propagation. The live chat begins Monday, October 5, 2015 at 11 a.m. PT / 2 p.m. ET, were we come together with green industry experts and fellow horticultural tweeps each week to discuss all things related to plants and horticulture, since 2014. Plants have amazing characteristics, specially when it comes to adapting themselves to a certain area or climate.You can say tey have different personalities, whether they like the sun or shadow, or even both. But have you ever thought how plants are able to survive different weathers? How about seasons? For example here in California where we are going through a drought, how can plants survive the summer high degree weather? Join @CoronaTools and #plantchat partner, Stacey Hirvala representing Proven Winners @Proven_Winners, on this week's topic, how plants deal with heat. The live chat begins Monday, August 3, 2015 at 11 a.m. PT / 2 p.m. ET, were we come together with green industry experts and fellow horticultural tweeps each week to discuss all things related to plants and horticulture, since 2014. Public Gardens are a wonderful amenity across the U.S. and the world. How do you locate a new one in your area? Or visit one that is celebrating one hundred years? Does it have a Conservatory, or perhaps a native plant woodland or meadow? Are there plant shows and celebrations of blooming plants in season? 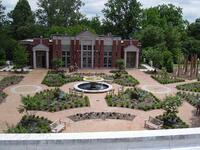 Or perhaps plant sales and garden tours scheduled? A trip to a public garden, is a great way to learn what works in your comminuty and provides insight how you can "translate" into your own garden. Join us this week to share your experiences at public gardens with Proven Winners Stacey Hirvala and the voice of Corona Tools USA, Chris Sabbarese. Join @CoronaTools and #plantchat partner, Stacey Hirvala representing Proven Winners @Proven_Winners, on this week's topic, what you can learn from public gardens. The live chat begins Monday, July 6, 2015 at 11 a.m. PT / 2 p.m. ET, were we come together with green industry experts and fellow horticultural tweeps each week to discuss all things related to plants and horticulture, since 2014. Share your favorites - What caught your eye or caused this garden to be your favorite? Share what you have learned. Near and Far - Is your favorite Public Garden in your own city? in the U.S.? or anywhere in the world? Old and New - About that Public Garden -- is it brand new and one that you helped found, or an old and august institution? 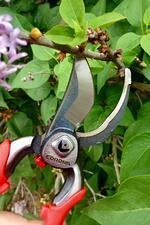 Pruning promotes health, maintains size, increases flowering and improves the appearance of shrubs in the landscape. In general, it's best to prune just before the shrubs break into rapid growth in early spring, so pruning cuts are quickly disguised by new growth. Share your pruning stories and learn tips and techniques with Proven Winners' Stacey Hirvela on #Plantchat on Twitter. This week on #Plantchat ask questions or share favorite stories about basic Pruning with the team at Proven Winners! Join @CoronaTools and #plantchat co-partner, Stacey Hirvela, representing Proven Winners @Proven_Winners on this week's topic, Pruning Shrubs. 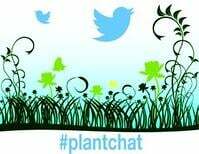 The live chat begins Monday, March 2, 2015 at 11 a.m. PST / 2 p.m. EST, were we come together with green industry experts and fellow horticultural tweeps each week to discuss all things related to plants and horticulture, since 2014. 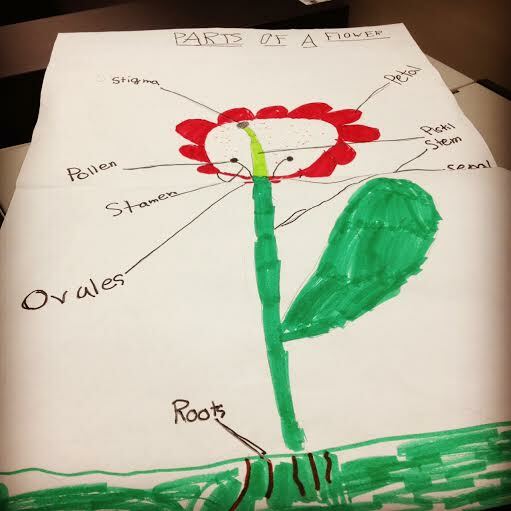 An understanding of basic Botany is invaluable to gardeners because it provides the "why" behind many of the horticultural techniques used-- such as how to take stem and root cuttings, what happens and why when you make heading cuts when pruning, and all about plant breeding and seeds, to name a few. Perhaps the lingo seems strange or unfamiliar, and this Twitter chat is a way to unravel some of the finer points with Proven Winners Stacey Hirvala and the voice of Corona Tools USA, Chris Sabbarese. This week on #Plantchat ask questions or share favorite stories about basic Botany with the team at Proven Winners! Join @CoronaTools and #plantchat co-partner, Stacey Hirvala, Jane Beggs-Joles and Shannon Springer representing Proven Winners @Proven_Winners on this week's topic, Prepping the Garden for Winter. The live chat begins Monday, February 2, 2015 at 11 a.m. PST / 2 p.m. EST, were we come together with green industry experts and fellow horticultural tweeps each week to discuss all things related to plants and horticulture, since 2014. With the advent of the winter season, gardeners and landscapers are looking for attractive, interesting plants to add color, texture and interest. Conifers are one type of plant that fit the bill. 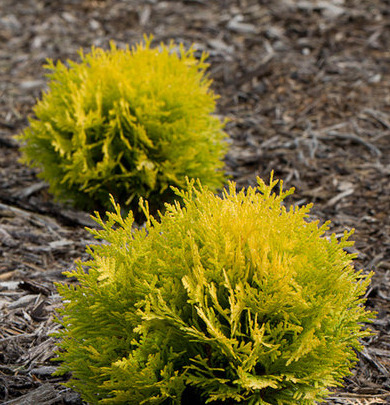 For example, the bright gold Arborvitae (right) named Thuja occidentalis Anna's Magic Ball, provides color and form throughout the year. In fact, visit the "Shrubs for Winter Interest" on the Proven Winners website to get more suggestions for attractive woody plants for winter gardens. 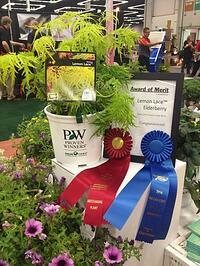 This week on #Plantchat swap ideas for some of your favorite conifers hints from the team at Proven Winners! Join @CoronaTools and #plantchat co-partner, Stacey Hirvala, Jane Beggs-Joles and Shannon Springer representing Proven Winners @Proven_Winners on this week's topic, Prepping the Garden for Winter. The live chat begins Monday, December 1, 2014 at 11 a.m. PST / 2 p.m. EST, were we come together with green industry experts and fellow horticultural tweeps each week to discuss all things related to plants and horticulture, since 2014. Botanically Speaking - what is a conifer? Winter Care - Special attention for conifers during the winter, and why! The country-wide switch from Daylight Savings to Standard Time is the annual signal (if you needed one) for gardeners to prepare their gardens for winter. Plant activity is slowing down, and leaves are coloring up and dropping. Winter-blooming Hellebores, Camellias and Edgeworthias are budding up, and holly berries are beginning to redden. 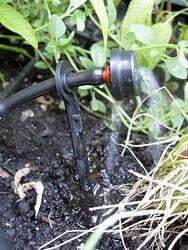 It's time to roll up hoses and be sure irrigation systems are drained, as well as to protect plants in nursery pots. Best to rake out and clear away dead (and especially diseased) annuals and vegetable plants from summer, and to protect cold-hardy crops inside winter tunnels in colder climates. 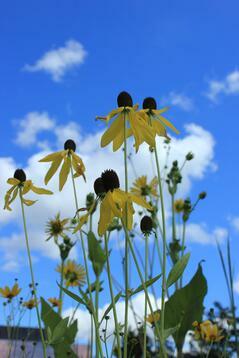 Perennials are going dormant and tender annuals are history. 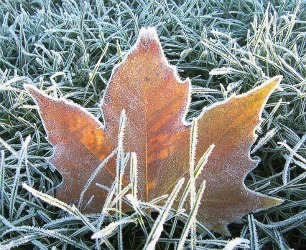 This is not the time to prune woody ornamentals, but instead make some fresh leaf mold with this year's leaf drop, and fork in well-rotted compost to improve your soil richness. This week on #Plantchat swap some of your area's tips on winter garden prep and get hints from the team at Proven Winners! Join @CoronaTools and #plantchat co-partner, Stacey Hirvala, Jane Beggs-Joles and Shannon Springer representing Proven Winners @Proven_Winners on this week's topic, Prepping the Garden for Winter. The live chat begins Monday, November 3, 2014 at 11 a.m. PST / 2 p.m. EST, were we come together with green industry experts and fellow horticultural tweeps each week to discuss all things related to plants and horticulture, since 2014.